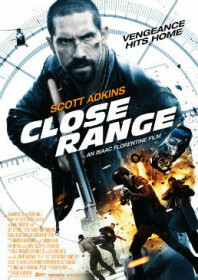 Scott Adkins takes on Mexican drug gangs in an Arizona border town in this ballsy action film. Director Isaac Florentine takes pleasure in chewing up the floorboards of his desert-based ranch set, riddling the décor with bodies and bullets. The film is cine-literate, directly referencing the role of the Ronin in Samurai culture, and the spit and sawdust of Sergio Leone’s spaghetti westerns, with Adkins cast as Florentine’s ‘man with no name’. It’s probably one of the weakest of Adkins’ many collaborations with Florentine – lacking in both character and plot – but the duo continue to make effective, hard-hitting action films, and for that reason alone it’s worth investigating.